How can I use meetings and networking events to grow my company? Relationships are the cornerstone of your business. People do business with people they know, like and trust. Entrepreneurs typically make a point to do business with people who are recommended to them or who live in their community. They are looking to succeed—with local entrepreneurs by their side. How do you meet those people? Local events and gatherings. Here are three ways you can benefit from attending networking events. 1. Listen so you can learn. Networking events get a bad rap sometimes because of a few misguided actions. You may see some people approach the gatherings as a way to collect business cards and immediately offer services for sale. But strangers may not be ready to open their wallets just yet. Instead, approach the experience as a way to learn about the other person. Ask questions, and then pause. If you listen, you might be able to figure out if you can solve a problem that entrepreneur is facing. If you can solve a problem, you’re halfway there, and a future coffee date may end up benefitting you both. 2. If you say you’re going to do something, do it. Did you offer to follow up with a proposal, an article or a connection with another person? If so, make sure you carry it out. The person who offers to do something and doesn’t follow through will easily be forgotten. By making the connection or following up with a promised phone call or referring new business, you’ll definitely make an impression. In networking situations, seeing someone once or twice a month creates familiarity—and familiarity can breed business. Once you dispense the “What do you do?” or “Where are you from?” questions, you can move into discussions on topics that allow you to really learn about a person. You can then find out if there’s common ground and the potential for a business connection. How does this strategy grow your company? One relationship at a time. 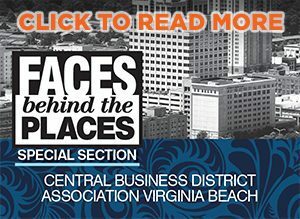 Cheryl Tan is a host for Hampton Roads Business Weekly, which airs on WVEC Sunday mornings at 9. She is the founder of Tan Media LLC, a media strategy company based in Virginia Beach, and author of the book, Get the Media You Deserve, a field guide for entrepreneurs who want to be seen as experts in their field. Visit her website at CherylTanMedia.com, where she tells the stories of entrepreneurs who have become media darlings. Follow her on Twitter @CherylTan.